Our common threat today is the growing menace of violent extremism and outright barbarism. Iran was first to rise to the challenge and propose to make confronting this threat a global priority…. The menace we’re facing – and I say we, because no one is spared – is embodied by the hooded men who are ravaging the cradle of civilization. To deal with this new challenge new approaches are badly needed. Iran has long been at the forefront in the fight against extremism. I hope my counterparts will also turn their focus, and devote their resources, to this existential battle. ORIGINAL ENTRY There were more signs on Thursday of compromise for a comprehensive nuclear agreement between Iran and the 5+1 Powers (US, Britain, China, Russia, France, and Germany). An unnamed Iranian official said that agreement is nearing on the shipment of almost all of Tehran’s 5% enriched uranium out of the country. “They are coming up with a commercial explanation for shipping the fuel out. They will say at home that they are selling the fuel,” the official told journalists. 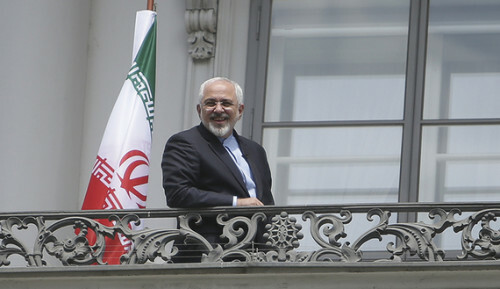 Under the proposed framework for the deal, Iran will retain only 300 kg of 5% uranium. The International Atomic Energy Agency reported Wednesday that the Islamic Republic reduced its stockpile by 9% since May, bringing it below a target of 7,650 kg set in a November 2013 interim agreement. Iran has already converted all of its 20% uranium into a form which makes it difficult or impossible to develop further for military use. Unnamed Western officials expressed caution that debates were continuing with Iran over the timing and sequence of the lifting of sanctions and the arrangements for inspections of both nuclear and military sides. I can’t predict how many hours it will take to resolve this situation. But all parties are of the opinion that this matter will be resolved in the coming days. We are sure that the deal will be reached and that it will be comprehensive. Ryabkov said the final text is “91% finished”. 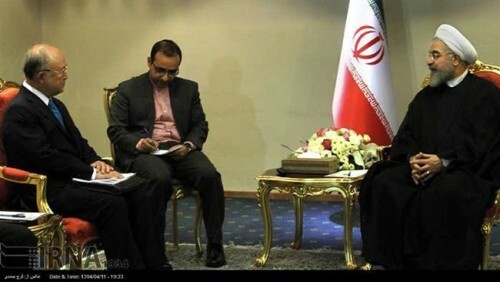 On Thursday, International Atomic Energy Agency head Yukiya Amano held talks in Tehran with President Rouhani and Ali Shamkhani, the Secretary of the National Security Council, over the inspections issue. Amano has said that Iran must allow IAEA access to military sites when, as envisaged in the final agreement, it accedes to the Additional Protocol of the Nuclear Non-Proliferation Treaty. Iranian officials, including the Supreme Leader, have said that no access or questioning of nuclear scientists can be permitted. The issue of military sites is unlikely to be mentioned in the final text. Instead, a possible compromise is that a procedure for case-by-case inspections will be arranged as a complement to Iran’s accession to the Additional Protocol. Prominent political activist and journalist Heshmatollah Tabarzadi has been released from prison after more than 5 1/2 years. Tabarzadi, the managing editor of the magazine Payam-e Daneshjou (Student Message), was arrested on December 27, 2009. He was later sentenced to eight years in prison on charges of conspiracy, insulting the Supreme Leader, and propaganda against the regime. We have paid a high cost for freedom, human rights and the improvement of society. We are not doing anything illegal and our methods are democratic. We have not promoted violence and will not. We believe that it is the right of the Iranian people to be the masters of their own destinies. This is the underlying principle of human and legal rights. The constitution guarantees freedom of expression, freedom of speech, freedom to belong to political parties, freedom of conscience and freedom of religion. Until we achieve these I cannot remain silent. Writing and talking is my job. I will continue my activities. If they could make me change my ways, they would have done it 16 years ago. Now they have got the message that prison cannot force us to our knees.